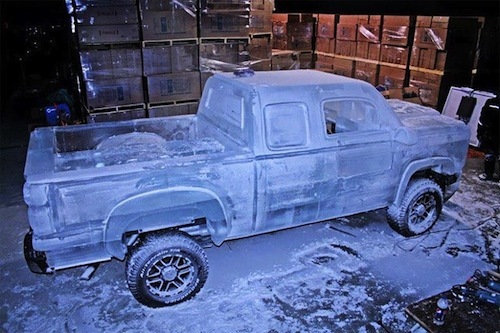 Seats, hood, roof, and even license plate – everything in this truck is made from ice blocks. 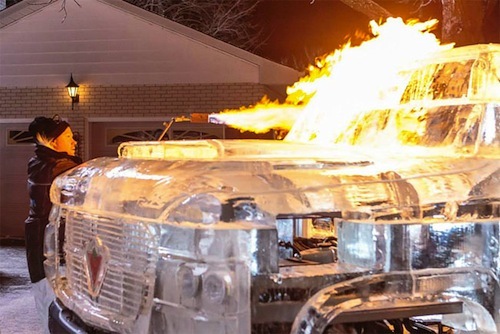 I only miss the heated seats. More photos and two videos can be found here. 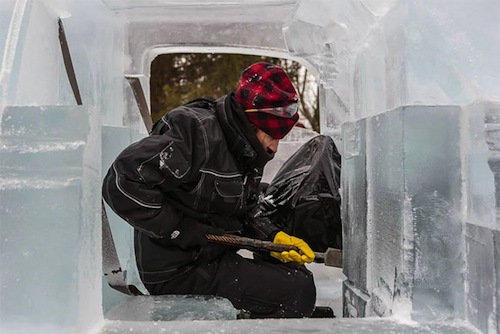 Built from more than 11,000 lbs of ice. 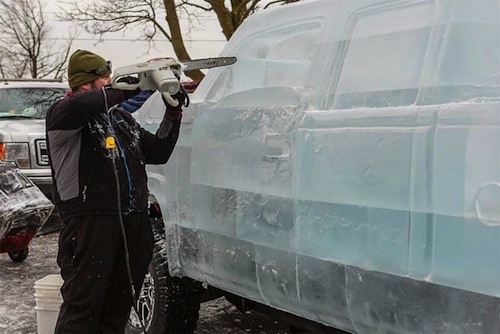 Constructed in Ontario on the frame of a chevrolet 2500HD. 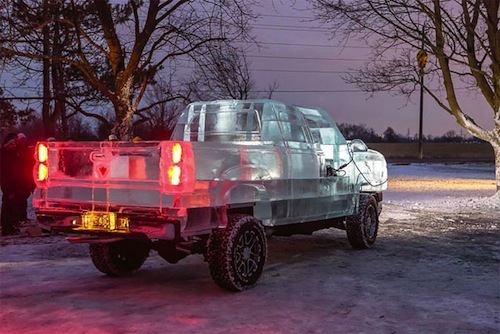 A team of ice sculptors from Ontario’s Iceculture made the truck. The team confirmed its functionality by driving it over one kilometer.